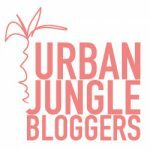 Hoe leuk, na mijn eerste bijdrage aan het blog van LiveLoudGirl, kreeg ik de vraag om een opvolger te maken als guest on the blog. Iets met een top-zoveel moest het gaan worden. Ik koos voor een item over opbergers. LiveLoudGirl asked me to share my favorite storage bags and boxes as guest on her blog. Sometimes it is good to know that others have a same addiction. 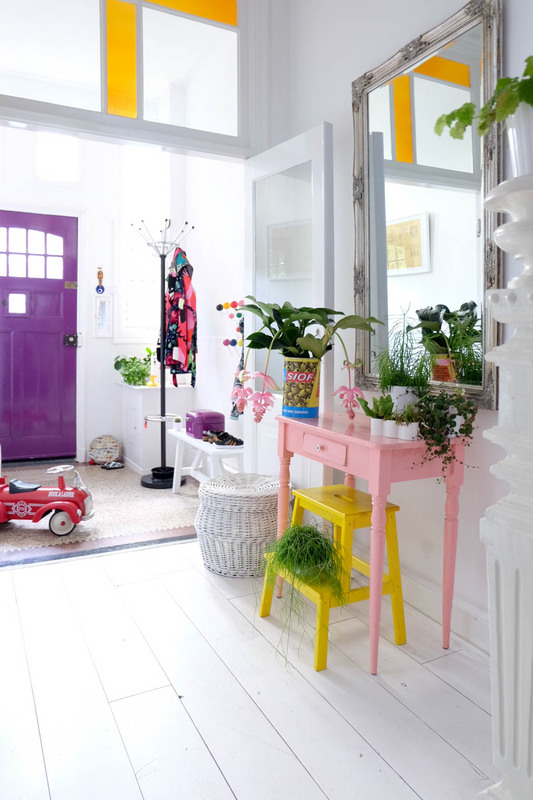 Do you remember Bea Kroeze from being our Guest on the Blog with her fantastic colorful photo’s? We were happy to find out that she is also a storage bag enthusiast and therefore we asked her to shares her favorites with us. 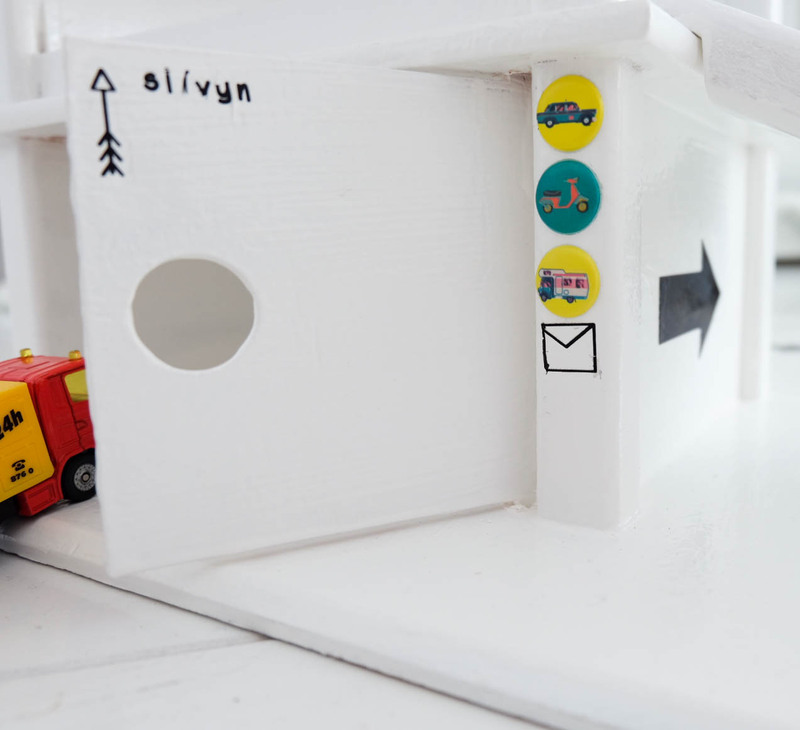 Bea’s house is full of creative storage solutions for herself and for her three year old son Silvijn. Her top choice is are the Wesco boxes. These remakes of the vintage Dutch Grandys that were used to store the bread. They are available in different sizes and colors and can obviously store much more then carbohydrates alone. In the playroom the Wesco boxes are used for pencils, stamps, clay and play sand. Tidying up is made easy by simply sliding everything in and closing the lid. 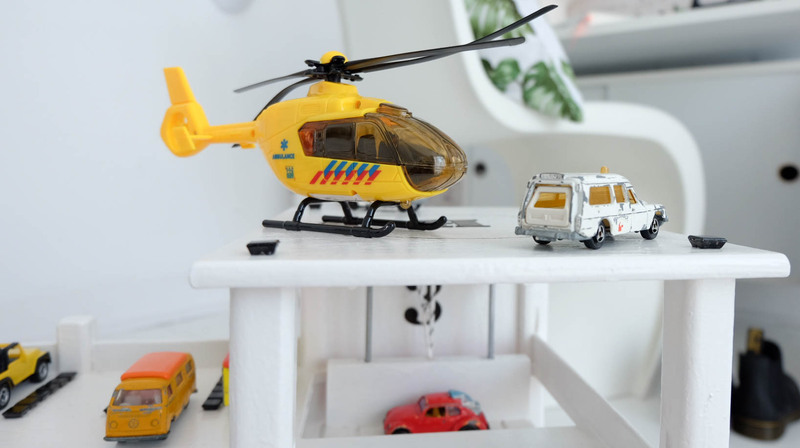 Other arts and crafts items are put away neatly in the Vitra toolbox. 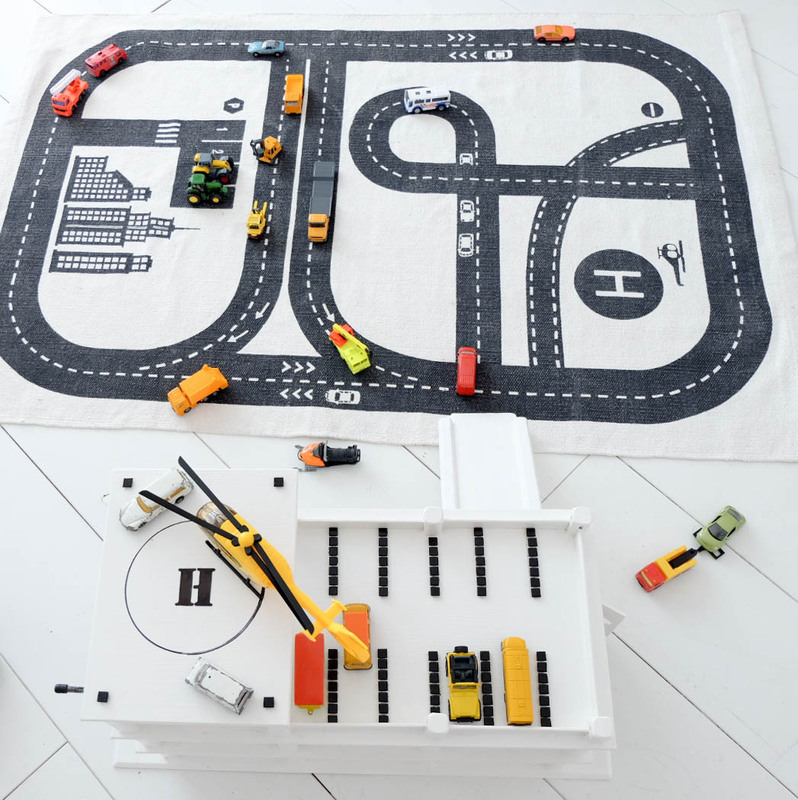 The storage bags by Ferm Living and House Doctor are organised by theme. 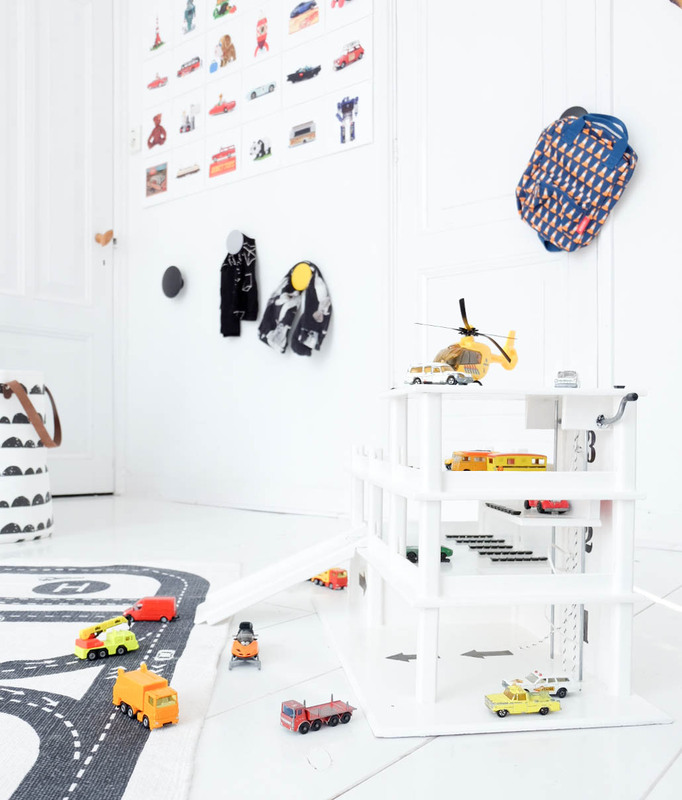 The grid basket is for Lego, the triangles bag is for cars. These bags can easily be carried (or dragged) to another room by the large handles. 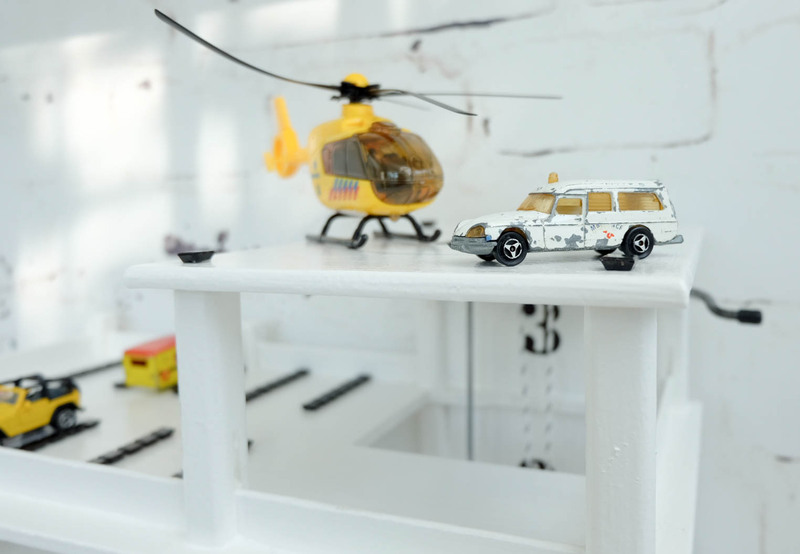 Silvijn’s reading books are stored in a Ferm Living wire basket. This way he can easily go through his books and place them back after reading. Coloring books and magazines in this house are stored in the Gispen magazine rack. This is such a Dutch design classic. Soft toys are stored in the paper bags from Mon Petit Zoreol. The Panda bag is the old time favorite for doing so. On one of her last holidays to Bali, Bea found these beautiful hand painted offer baskets which are now used for Silvijn’s plastic animals. 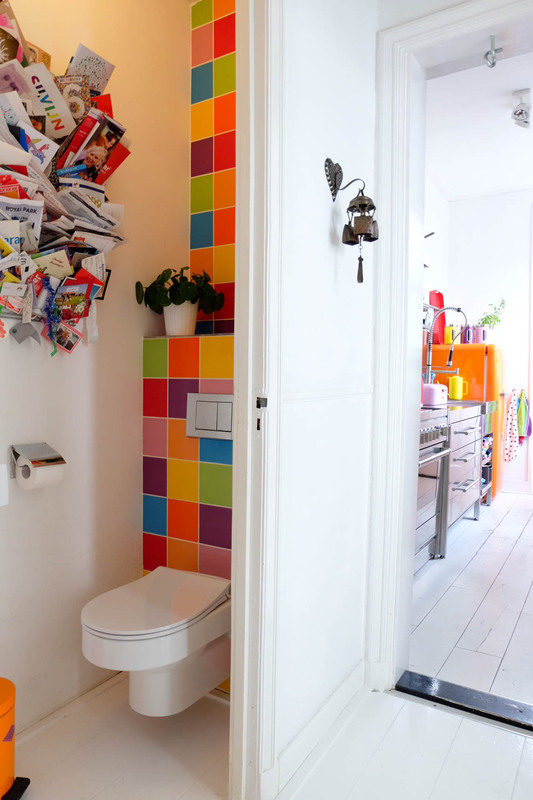 Storage in this house is quite a colorful affair. We love the gig variety of shapes, shades and structures. Are you starting to feel the urge to get organised as well? Check out the links below to shop this look. Op 13 januari 2016 popt er een bericht van LiveLoudGirl in het postbakje op wanneer ik – tussen de bedrijven – door mijn Instagram check. LiveLoudGirl? Dat is één van mijn lievelings Instagramaccounts. Met verbazing lees ik het bericht van Linda. 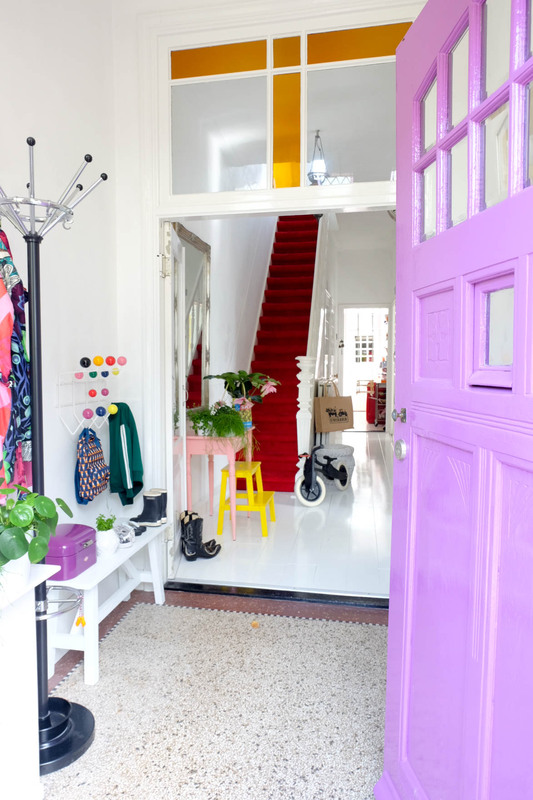 Ze is dol op mijn styling en dol op de kamer van Silvijn en zou me graag een keer featuren als guestroom op haar blog, lees ik. En of ik dat zie zitten? Linda, je laat me blozen! JA, dat zie ik zitten! 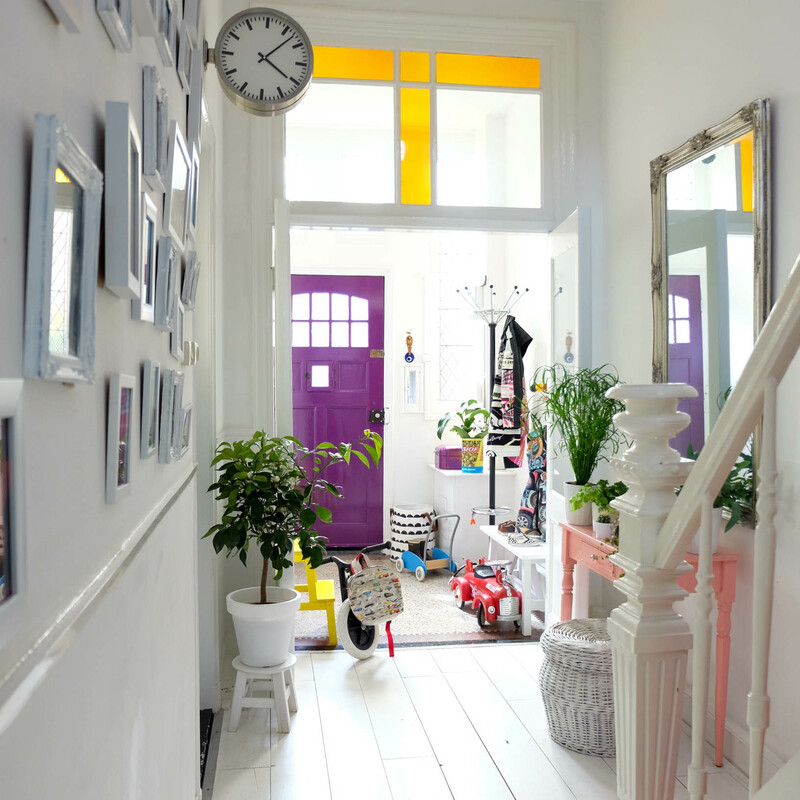 (So) I proudly present myself – oké Silvijn’s room – as a guest #gotb on the blog by LiveLoudGirl. 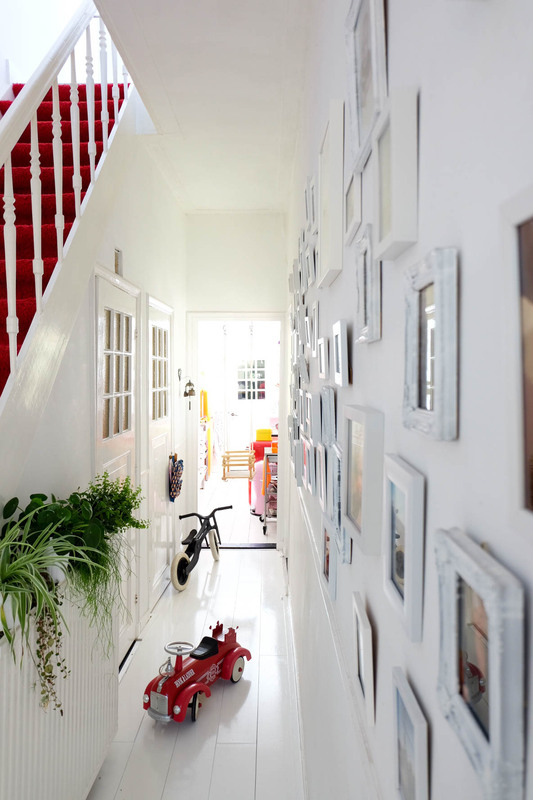 We always love peeking into someones home. Especially when it’s an exclusive one like this. Eight years ago, Bea Kroeze moved into a this house which was built in 1911. 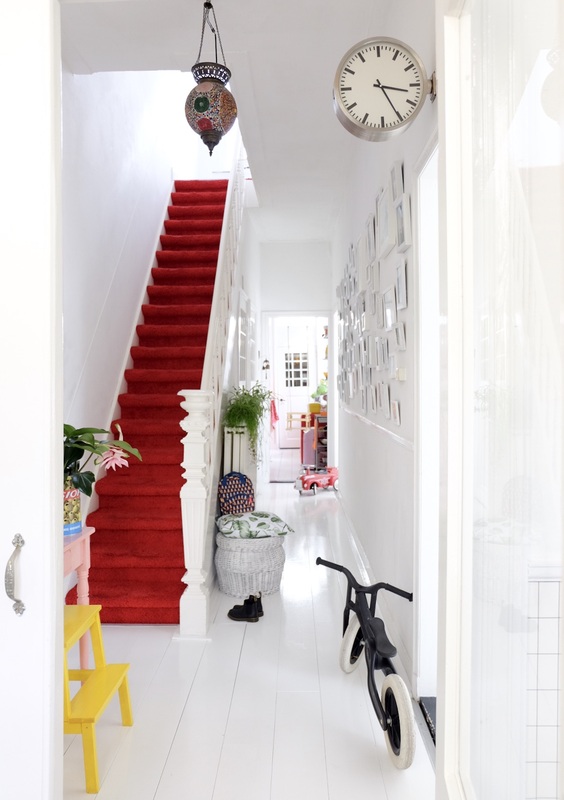 The interior was totally rebuilt using white for the floors and walls to make it light and clean. Color was later brought in with the furniture, accessories and toys. Bea gets her inspiration from traveling, interior magazines, blogs, Pinterest and Instagram, where we ‘met’ her. And this beautiful double room of her son, with French doors to a balcony, so playful and light, it’s too good not to share. 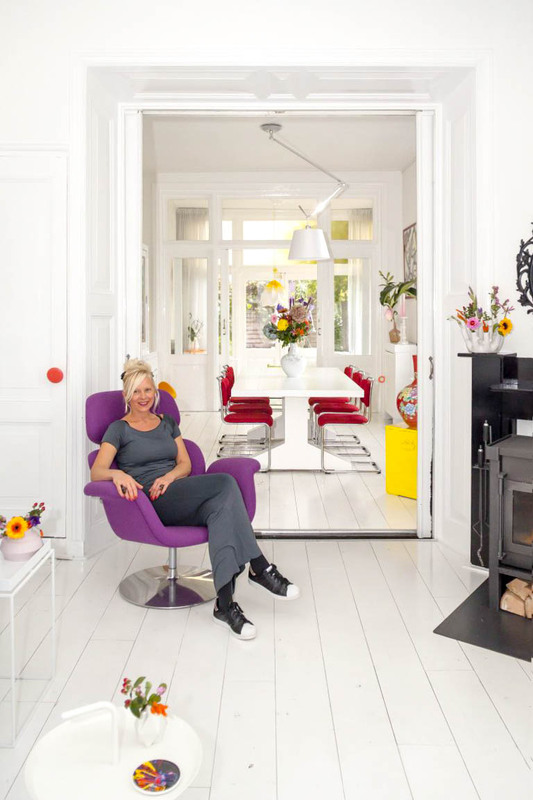 Like anyone with a passion for interior styling, Bea is always changing things around, having little ‘projects’ in the house that are never truly done. 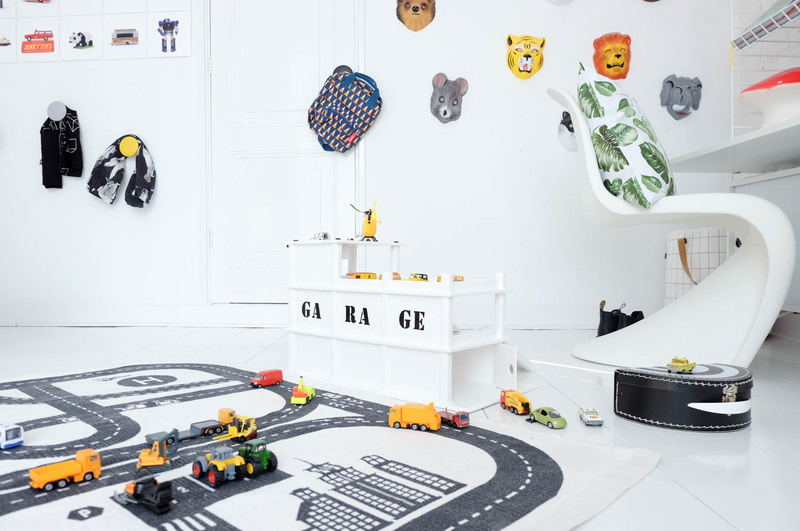 Last year, one of the projects was converting her old office space into a bed and playroom for her now 3 year old son Silvijn. He was lucky to inherit the massive map of the world that the family uses to pin the locations that they have seen. This boy will definately become a world traveller, no doubt about it. To create an edgy feel in the room, Bea used a wall paper on the opposite side, making is look like a semi-exposed industrial brick wall. The furniture in this room is a mix of design and vintage. Silvijn’s cot was used for Bea as a baby and the matching dresser is a carefully selected second hand one. Bea is a fan of Stringfurniture, hence the bookcase in his room. 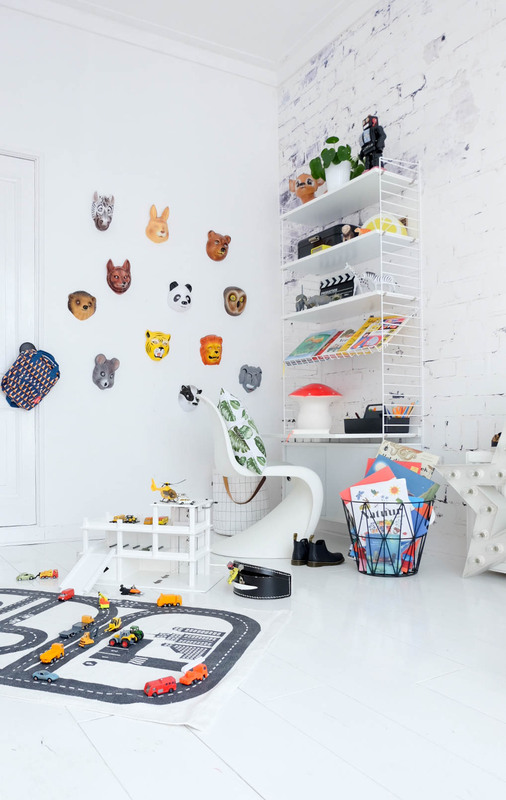 Silvijn’s passion for colorful toys makes this room complete. 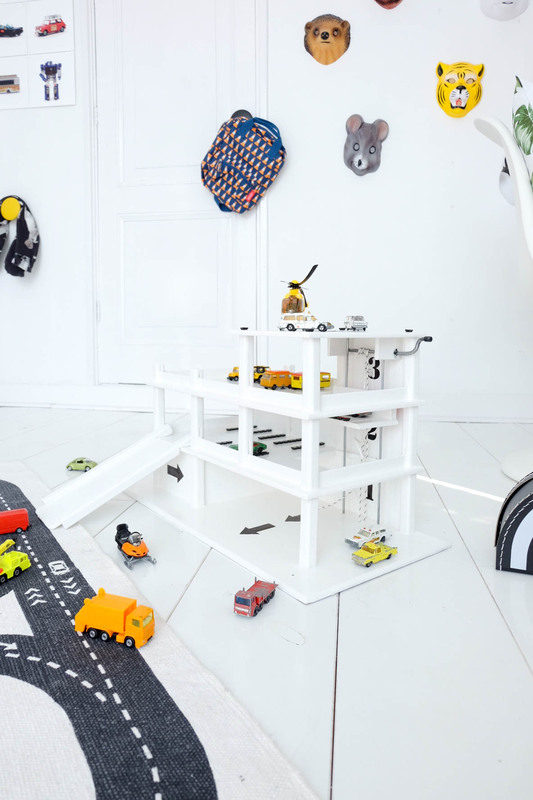 Seeing this space makes us want to join in and play all day!